After I attended Coachella for the first time with Revolve for #RevolveFestival, I was excited for another adventure with Revolve! I remember when I started blogging and I’ve been obsessed with all the colorful Revolve trips and I always loved the #RevolveInTheHamptons series! 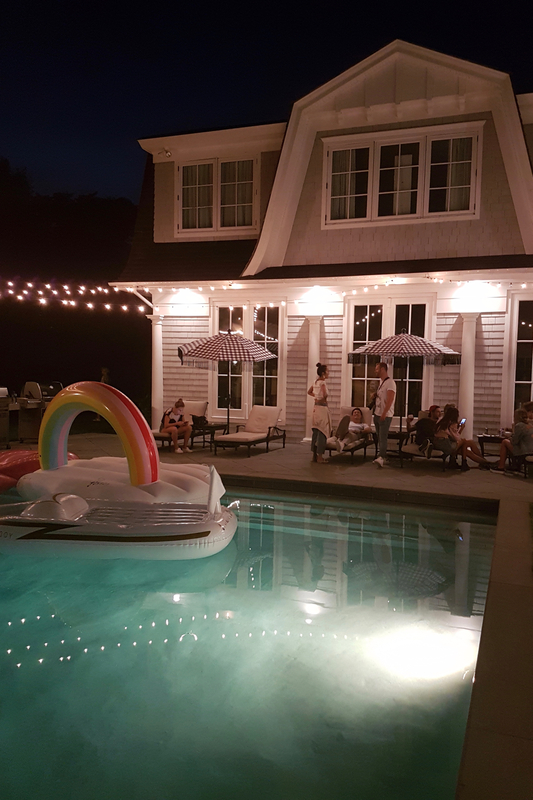 Therefore, I was excited to be part of this year’s influencer squad and to join the whole Revolve family for an adventures weekend in the Hamptons. Even though I’ve already seen many states and visited quite some places along the US East coast, it was my first time visiting the Hamptons! Alex and I packed for a long weekend in the Hamptons and a few days in LA, but unfortunately our luggage got lost on our way to the states. It was not the first time my luggage got lost (so this time I luckily had at least one pair of fresh underwear in my carry on ;)), but it was the first time we found no one to help us at the luggage tracing desk. They simply couldn’t help us and didn’t even provide us with a number to call or a tracing number to track the luggage online. They just informed us that it might take some time and in the end the luggage arrived three days later just in time for us to depart from NY to LA. Luckily, Revolve is know for a biiiiig variety in cute clothes and I had a wardrobe full of my favorite Revolve selects. Also I was lucky to have a few amazing bloggers with me like Mary of HappilyGrey who gave me some pjs and even underwear! Not having any luggage might not sound too stressful, but as I’m travelling so much, I always bring all my favorite pieces and I felt a little heartbroken when Alex and I couldn’t reach anyone for days. Buuut as you can see in the pictures: I found loooots of Revolve pieces I loved and since I always carry my favorite bags in my carry on luggage (I’m just to emotionally attached to let go of them ;)), I found outfit combinations I really loved! Plus, we were lucky to have beautiful sunny days in the Hamptons! I wanted to see these pics! Such a great post Leonie! Oh das sind ja richtig kitschige Bilder, sooo schön. Wie aus einer amerikansichen Serie find ich. Die Hamptons, wow. Klasse Bilder, schaut aus wie aus einem Film. Ah… Everything looks like a dream , beautiful photo diary! Ich freue mich, viel neues von dir zu hören! Your trip looks so fabulous! Wow! omg I want ur life so much, you’re such a goal! Forever obsessed with your photos! Was für tolle Fotos! Ihr seht alle so schön aus und der Trip sah nach so viel Spaß (wenngleich er auch beruflich war) aus!